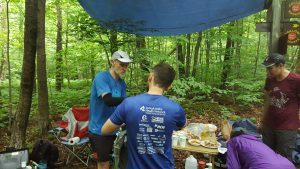 If you’ve ever run a trail race, you should have thanked a volunteer for hiking up a mountain to provide you with refreshments you were too cheap or lazy to bring yourself, or for getting to the start line before you so as to handle logistics, or staying at the finish line after you for the same reason, or for “sweeping” the race and making sure no one gets left behind. So, at some point, it’s your turn to do likewise. And though I’d like to consider myself a reasonably frequent volunteer, I fully admit that I occasionally need cajoling. This autumn, two weeks before Cat’s Tail, with the rest of my family out of town, I had planned for my Saturday a long last solo run on the Catskill Mountains. 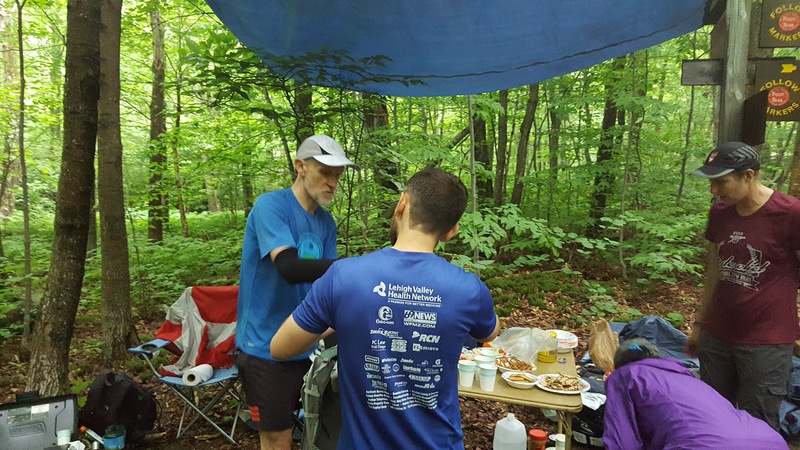 But that Thursday, I was asked if I fancied getting up at 4 in the morning, driving 100 miles to Pennsylvania, helping a friend sweep the Water Gap 50k – which meant being the slowest people on the course – and then driving back home again. It would also mean bailing on two gigs I’d hoped to go to in two nights. Naturally, I said yes: it was the right thing to do. I still got my long run in, I had lovely company from my fellow sweep, the two of us helped keep someone on their feet who was otherwise dragging them, and apparently, I can claim my volunteerism on certain ultra applications that require it. I still don’t have my pants back, but that’s a different story. Continue to Part 8: Welcome the Weekend.